THIS IS NOT A REVIEW MORE WHAT HAVE WE GOT! This set has always been a favourite among fans for years; as far back as the event it's self I suppose. It has also been released a number of times too through the years, I still have the original double album, then on CD which was a single track disc, you couldn't skip from one song to the other and as it was a single CD they cut bits from the show to fit. The sound was average and by no means the best we had at the time, remember this was all pre-soundboard recordings all we got was audience recordings. A few years later the excellent release "Auld Lang Syne" hit the streets and fans were amazed by the sound improvement on this release, and over the years a large amount of soundboards started to appear, and roomers started, well if they exist surely the Pittsburgh show exists too. I personally have heard over the phone what was supposed to be the soundboard of this very show, I was played "Rags To Riches" this was many years ago now but it's still fresh in my mind, I can tell you it was far better than "Auld Lang Syne" but it was over the phone so you can't get the full over all sound of a recording, but it was better. 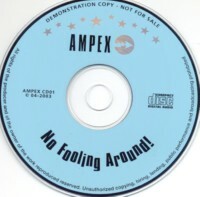 Then a CD-R was released to the fans called "Rags To Riches" this again an improvement on "Auld Lang Syne" but still not soundboard, this was later was put on CD under the same title "Rags To Riches" although being better than "Auld Lang Syne" in sound, some even consider as excellent, and in some ways better than a soundboard as you get the audience coming through and you get a better feel to the show. Now upon playing this new FTD CD set, could this be the recording I heard back then, the first thing I played was "Rags To Riches" it's close so it could be. If it is then it's a shame then the soundboard isn't in the collector's hands. This release from "Follow That Dream" is what sounds to be from the same source as the "Rages To Riches" release, but without the hiss, but it still has the pops and crackles which are from age and the equipment overloads at the time of recording, which considering is amazing we have this recording in this quality from an audience recording. So either the folks at FTD have cleaned up the tape the best they could or the copy they have is just better than the "Rags To Riches" version, but it is an improvement. This now leads to the continuing search for the Pittsburgh Soundboard, will we ever see it, I personally hope so, not that I would prefer a soundboard recording, as we are all well aware of the participation of an audience is limited through a soundboard recording, so a perfect soundboard of this show I think would be a little sterile compared to this audience recording release from "Follow That Dream". Saying that to have a set of a soundboard and an audience recording in this quality from this show, I think we would have a fantastic overview of the show, this would show the downfalls and up points to both releases, and I look forward to the day I can compare both. As I stated I have had this show in my collection for many years now, and this release is by far the best to date, and I don't think a soundboard version could top it, only compliment it. One final note the people at FTD have told us what to expect and they have played it down, it is better than what they have been quoted as saying, what thy have said it 100% true but to me its great and not to be missed even if you have it already on any of the previous versions, the price is unbeatable too, its priced as a single CD which is something few have mentioned, it could have easily been priced upwards of an extra 50%. 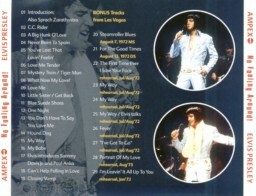 Las Vegas August 4th 1972 Opening show, this show has been doing the rounds for some time now on the CD-R circuit, but here is the shows first outing on CD, beautifully packaged with a six page booklet, with relevant notes written by what appears to be Getlo Jr.
Could this be a Savage dog? 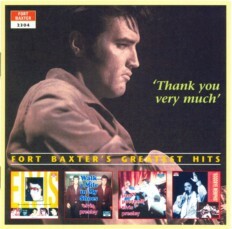 The sound of the concert is absolutely stunning for an audience recording, its just a shame the introductions and American Trilogy are missing, but these are also missing from the CD-R version too, the bonus live tracks are of poorer quality and the Vegas rehearsal from July or August 1972 is improved also on previous outings which is great as this is a gem of a rehearsal, but again still not perfect by any means. This rehearsal has been doing the rounds on a couple of CD's & lP's over the years but no one till now has dared put a date to it. The final two tracks added are as previously released but included because they felt they should be they are "Portrait Of My Love" from a 1974 August rehearsal and finally "I'm Leavin' It Up To You" a January 1972 Vegas rehearsal. This sounds a little better than previous releases, but I could be wrong? 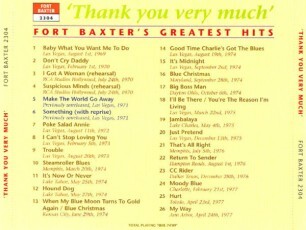 On the whole a worthy inclusion to your collection as you get some great recordings all bunched together on one CD. It's been a few years since we have seen anything from this label, and it's such a shame too that it has to be a compilation album, but things do look a little brighter with two more songs from the 26th January 1971, Opening Show, in Vegas, being premiered here these being "Something with reprise" & "Polk Salad Annie", we did get three other tracks from this show tagged on the end of the DAE CD "All Things Are Possible" so this gives us hope to the possibility that we may see the complete show turn up.. The sound of these two tracks is a little distorted, but nothing to complain about, compared to some that have been released over the years. Another point is on the liner notes it states that the tracks have been re-mastered from the original masters. The sound difference between these tracks and the original is minimal, so it's nothing to get over worked up about. Another liner note discrepancy is that it states the two unreleased tracks are from the 27th January 1971, but it is the 26th oh well no one's perfect. 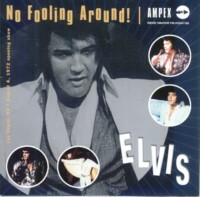 After putting the CD into my player and sitting back, well not straight away as I did give the unreleased tracks a spin first, and they are fun versions of the songs Elvis has fun with the reprise of "Something", Elvis was obviously in a great mood on that night in '71. Anyway back to the selection used for this compilation, it makes very easy listening and seems well thought out, and with 26 tracks from 24 different locations, it certainly gives you a great overview of some the classic recordings released over the years, every year is included from August 1969 through to April 1977 only 1970 gets a miss on the live shows, but we get two tracks from the "Brightest Star On Sunset Boulevard" set. 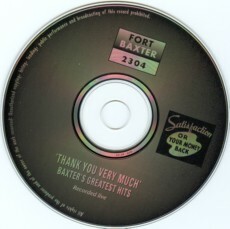 Not the most impressive Baxter release, but again as stated in the liner notes it seems the well they have been using has just about run dry. But let's just hope they or someone can put out the complete opening show from January 26th 1971 as it does sound like a truly memorable show. NB another title has also decided to put out a selection of Live Out-takes as they call it, supposed to be in STEREO, well how on earth are they gonna get stereo from a mono soundboard recording? Don't think so you can only jazz up these recordings so much, with the technology available today some great jobs are achieved fiddling with this button or that button. But unless they can come up with better generation tapes they should just leave these things alone..